The sources of her goods made in China are unclear, creating questions about conflicts and trade policy. SHANGHAI — It is no secret that the bulk of Ivanka Trump’s merchandise comes from China. But just which Chinese companies manufacture and export her handbags, shoes and clothes is more secret than ever, an Associated Press investigation has found. In the months since she took her White House role, public information about the companies importing Ivanka Trump goods to the U.S. has become harder to find. Information that once routinely appeared in private trade-tracking data has vanished, leaving the identities of companies involved in 90 percent of shipments unknown. Even less is known about her manufacturers. Trump’s brand, which is still owned by the first daughter and presidential adviser, declined to disclose the information. 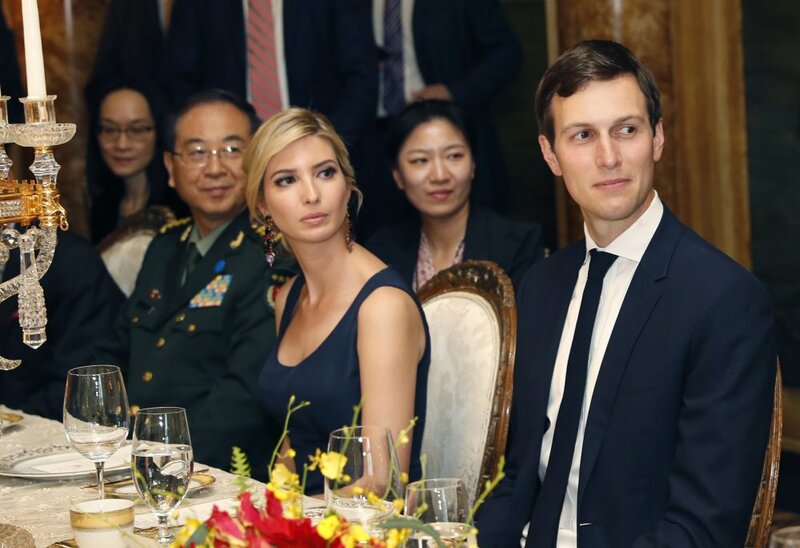 The deepening secrecy means it’s unclear who Ivanka Trump’s company is doing business with in China, even as she and her husband, Jared Kushner, have emerged as important conduits for top Chinese officials in Washington. The lack of disclosure makes it difficult to understand whether foreign governments could use business ties with her brand to try to influence the White House – and whether her company stands to profit from foreign government subsidies that can destroy American jobs. Such questions are especially pronounced in China, where state-owned and state-subsidized companies dominate large swaths of commercial activity. An AP review of the records that are available about Ivanka Trump’s supply chain found two potential red flags. In one case, a province in eastern China announced the award of export subsidies to a company that shipped thousands of Ivanka Trump handbags between March 2016 and February of this year, Chinese public records show – a possible violation by China of global fair trade rules, trade experts said. The AP also found that tons of Ivanka Trump clothing were exported from 2013 to 2015 by a company owned by the Chinese government, according to public records and trade data. It is unclear whether the brand is still working with that company, or other state-owned entities. Her brand has pledged to avoid business with state-owned companies now that she’s a White House adviser, but contends that its supply chains are not its direct responsibility. Ivanka Trump’s brand doesn’t actually make its products directly. Instead, it contracts with licensees who oversee production of her merchandise. In exchange, those licensees pay the brand royalties. The AP asked Ivanka Trump’s brand for a list of its suppliers. The company declined to disclose them. The clothing, footwear and handbag licensees contacted by AP also declined to reveal source factories. Abigail Klem, president of IT Operations LLC, which manages Ivanka Trump’s brand, said the company does not contract with foreign state-owned companies or benefit from Chinese government subsidies. However, she acknowledged that its licensees might. But Michael Stone, chairman of Beanstalk, a global brand-licensing agency, said lower production costs for licensees would ultimately benefit Ivanka Trump by freeing up money for marketing or lower retail prices, both of which drive sales. The AP identified companies that sent Ivanka Trump products to the United States by looking at shipment data maintained by ImportGenius and Panjiva Inc., private companies that independently track global trade. Panjiva’s records show that 85 percent of shipments of her goods to the U.S. this year originated in China and Hong Kong, but beyond that, it’s becoming more difficult to map the brand’s global footprint. The companies that shipped her merchandise to the U.S. are listed for just five of 57 shipments logged by Panjiva from the end of March, when she officially became a presidential adviser, through mid-September. Panjiva collects data from U.S. Customs and Border Protection, which did not immediately release the missing data to AP. While in many cases the manufacturer ships goods directly, merchandise can also be made by one company and shipped by another trading or consolidation company. There used to be more visibility. Last year, 27 percent of the companies that exported Ivanka Trump merchandise to the U.S. were identified in Panjiva’s records, and back in 2014 a full 95 percent were named. 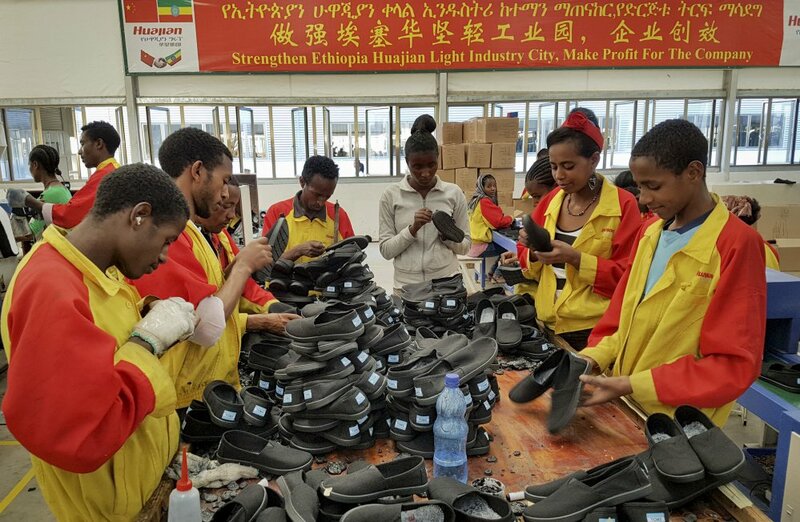 For two of Ivanka Trump’s licensees – G-III Apparel Group Ltd. and Marc Fisher Footwear – the number of shipments appears to plunge in 2015, likely because they “requested to hide” their shipment activity, according to Panjiva records. Neither company responded to AP’s questions. The brand declined to comment on the growing murkiness of its supply chain. Chris Rogers, an analyst at Panjiva, said any company can ask customs authorities to redact its information for any reason. About a quarter of companies request anonymity, he said, but the majority don’t mind disclosing who they’re doing business with. While ethics lawyers may see disclosure as the best antidote to conflict of interest, many brands see it as a tool to keep supply chains scandal-free. Public outcry over sweatshop conditions and worker suicides prompted companies like Nike Inc. and Apple Inc. to disclose the names and addresses of their manufacturers, and a growing number, including Gap Inc., the H&M Group, New Balance Athletics Inc., Adidas AG and Levi Strauss & Co., publicly identify their suppliers. Ivanka Trump should do the same, said Allen Adamson, founder and CEO of BrandSimple Consulting. “It’s a missed opportunity to lead by example,” Adamson said. What shipping records do show is that a company called Zhejiang Tongxiang Foreign Trade Group Co. Ltd., a sprawling conglomerate once majority-owned by the Chinese state, sent at least 30 tons of Ivanka Trump handbags to the U.S. between March 2016 and February. Zhejiang province’s commerce department said in June 2014 that it would help lower export costs for that same company, along with nine other local enterprises, through a special three-year trade promotion program. Among the measures outlined were export insurance subsidies and funding for online trading platforms and international marketing, as well as special funds earmarked for foreign trade companies with large-scale, fast-growing exports. The AP spoke with four trade experts in the United States and China who said the Zhejiang measures appeared to violate World Trade Organization rules. “These are clearly export subsidies,” said Gary Hufbauer, a trade expert at the Peterson Institute for International Economics in Washington. Zhejiang province’s Department of Commerce and the Zhejiang Tongxiang Foreign Trade Group declined comment. The AP also found that from October 2013 to January 2015, Jiangsu High Hope International Group Corp., a conglomerate majority-owned by the Jiangsu provincial government, shipped 45 tons of Ivanka Trump clothing to the U.S., according to records from ImportGenius and Panjiva. High Hope told AP that it had “a small number of business dealings” with Ivanka Trump licensee G-III Apparel, but declined to answer questions about whether the relationship is ongoing. G-III, which is based in New York City, declined to respond to specific questions but said in a statement that it is “committed to legal compliance and ethical business practices in all of our operations worldwide.” Ivanka Trump licensee Mondani Handbags & Accessories Inc., also headquartered in New York, did not respond to requests for comment. Ivanka Trump’s brand said it was in the process of reviewing its supply chains with the help of “independent experts whose mission it is to advance human rights,” and emphasized that all licensees, manufacturers, subcontractors and suppliers are required to abide by the law, as well as ethical practices set forth in a vendor code of conduct. The AP asked to see the code of conduct, but the brand declined to share it.